The League Managers Association (LMA) Manager of the Year award is voted for each year by Football League managers, and is therefore one of the most coveted awards a manager can receive in the English game, as it’s voted for by his peers. There are two stand out candidates for the prize this season – Jose Mourinho and Ronald Koeman – and the Southampton boss surely has every chance after the job he’s done on the South Coast with limited resources. Mourinho is the obvious candidate with Chelsea looking unstoppable in the Premier League, but as the award is voted for by fellow managers, it also takes into account managers who have inherited poor sides or have had to perform under financial constraints. The winner of the award can come from any of the four divisions, but in the 20 years since 1994 only three winning managers have hailed from outside the Premier League. Peter Ried won it in 1996 after guiding Sunderland to the Division One title; Danny Wilson in 1997 after taking Barnsley to the Premier League; and Steve Coppell in 2006 after wining the Championship with Reading. Although you might expect the Premier League’s winning manager to have won more often than not, the award has only gone to the title-holding manager on five occasions. Unsurprisingly, Alex Ferguson is the most successful manager, having won the award four times, in 1999, 2008, 2011 and 2013. More of a surprise is that David Moyes is the award’s second most successful manager with three trophies gained in 2003, 2005, and 2009. Perhaps an indication of how the voting can lean towards a manager working on a budget more than a manager who has collected trophies with a ‘top’ side. Indeed, Steve Coppell’s back-to-back wins in 2006 and 2007 as Reading manager, would seem to support this. The last three of Alex Ferguson’s wins (2008, 2011, 2013) were in seasons when Manchester United won the Premier League, but the previous time the prize went to the league winner was when Arsene Wenger took it in 2004. In-between those years the award has gone to David Moyes (Everton) twice, Steve Coppell (Reading) twice, Roy Hodgson (Fulham), Alan Pardew (Newcastle), and Brendan Rodgers (Liverpool) last year. Jose Mourinho returned to Chelsea and the Premier League last season after collecting trophies around Europe with Inter Milan and Real Madrid. He never quite enjoyed the rapport with either of those two clubs that he had done with Chelsea, and it seemed like a match re-made in heaven when he was announced as the new boss. 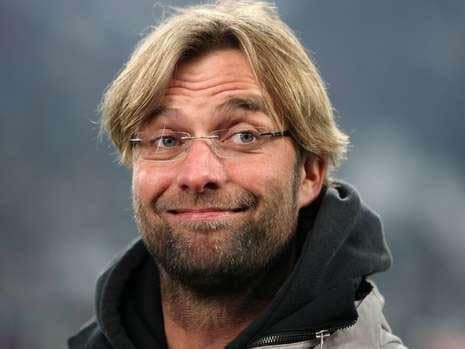 He led his team to third in the Premier League in his first year back, eventually finishing just four points behind Manchester City, without ever really looking able to challenge. The lack of an out-and-out goalscorer was highlighted as a problem area, and Mourinho addressed that quickly by bringing in Diego Costa as well as the creative nous of Cesc Fabregas. While his side have been dominant, efficient and professional in the Premier League, they don’t play football to get the pulse racing, and with the amount of talent and money at his disposal it’s hard to say he’s overachieving. That’s probably a little harsh on the Chelsea boss, as it would be difficult to overachieve at a club with such high expectations, but it may count against him in this particular contest. It’s much easier for fans, and football managers in this case, to assess how well someone has done when they have finite resources and a lack of playing talent or transfer budget to contend with. 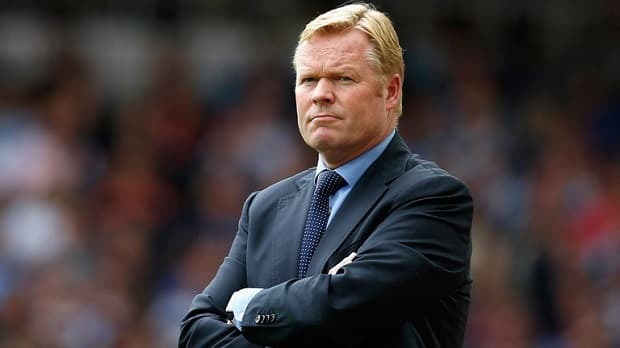 With that in mind it’s easy to see how well Ronald Koeman has done at Southampton, and he’s a manager who is clearly surpassing any pre-season expecations from both inside and outside of the club. Looking back to last summer Southampton were a club in disarray, after a great season under Pochettino in which they finished 8th, the manager had departed to Spurs and there was something akin to a fire-sale as the squad was broken up. Lallana, Lovren and Lambert all made their way to Liverpool, while promising young defenders Shaw and Chambers moved to Manchester United and Arsenal. Koeman was fancied by many pundits to struggle to a) replace that talent, and b) reunite a club that had lost the faith of it’s fans and some key players like Schneiderlin, who had handed in a transfer request. What followed has been nothing short of remarkable as his new-look Saints side hit the ground running and have been challenging for the top four all season. It’s been too long to say they’re a flash in the pan, and they remain 5th just one point outside the Champions League places with 12 games to go. It’s not just the position but also the football that they’ve played which has caught the eye. They’ve regularly out-classed lower Premier League sides, and have more than held their own against the big teams – winning at Old Trafford and beating Arsenal at St. Mary’s recently. If Koeman can maintain their form for the rest of the season and qualify for Europe (even in the Europa League), he is surely a strong candidate for this award in what, it must be remembered, is his debut season in English football. Why Pellegrini is such short at the odds is a mystery to us. Perhaps it’s because Manchester City could overtake Chelsea to claim the title, but we know that league winners don’t have a great record in this award anyway. City haven’t ever looked convincing this season, and they are probably on their way out of the Champions League after a 2-1 home defeat to Barcelona. There would need to be a big change in fortunes and performances for Pellegrini to be crowned Manger of the Year, and it’s not a scenario we can envisage happening. An outside case could be made for Sam Allardyce, who has taken his West Ham side from relegation candidates to European contenders, but it would have to be an exceptional end to the season for his stock to rise higher than Koeman’s. It’s also fair to say that while last summer was one of squad-building for West Ham and this season has been one of progression, Southampton underwent huge upheaval, so again, Koeman’s achievements appear in a better light.